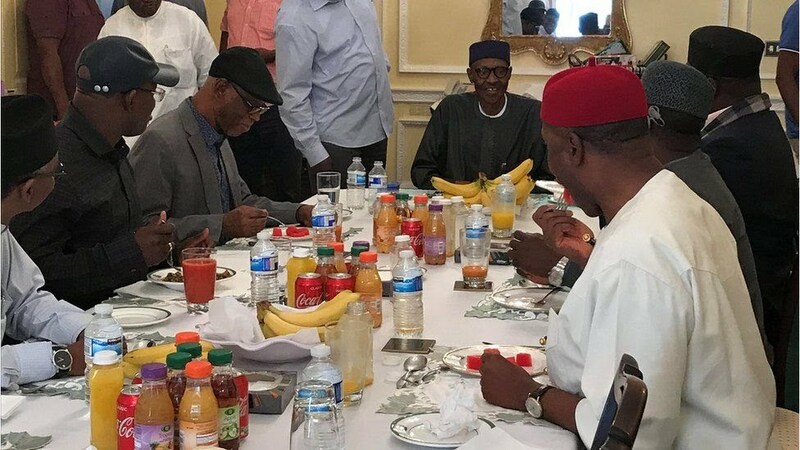 President Muhammadu Buhari, 74, came to the UK for treatment for an unspecified illness. On Sunday, he met governors from his party for lunch and was very cheerful, according to a government statement. His absence has led to some anxiety in Nigeria, with some speculating that he might have died. Others have worried he may not be able to return to duty. The statement said the president “was very cheerful and has not lost any bit of his sense of humour”.